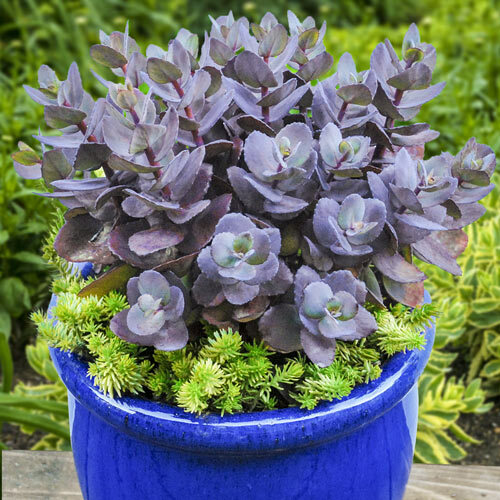 Eye-catching purple-blue foliage is accented by sweet dark pink blooms. Drought tolerant and bee friendly, it's perfect for creating pops of unique color in the garden. Its pretty red stems are strong, holding upright even in bad weather.